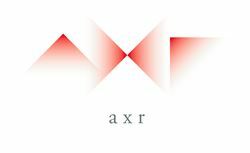 Named after the AxR rootstalk (Aramond x Rupestris) that was so prominent in building the modern California wine industry, AXR Winery pays homage to the so-called "roots" of the industry. By utilizing modern and innovative techniques in the cellar, we extract the uniqueness of Napa Valley's soils into wines enjoyable now, or many years from now. Start with hand picked grapes, naturally fermented in small handcrafted batches, add in the expertise and palette of renowned winemaker Jean Hoefliger, and you have a recipe for stunning wines that promote even better conversations, more laughs, and an invitation for others to join the group! We invite you to visit our historic estate located in the heart of St. Helena. Enjoy your down-home, private experience on the pre-prohibition site, tasting wines handcrafted by our consulting winemaker, Jean Hoefliger. Then take a walk surrounded by our very own Redwood grove to taste the future of axr wines with a barrel tasting in the cellar. The tasting experience at AXR takes on you on a journey through the past, present and future of Napa Valley.